Translating interest and feedback into focused Product-Improvement. 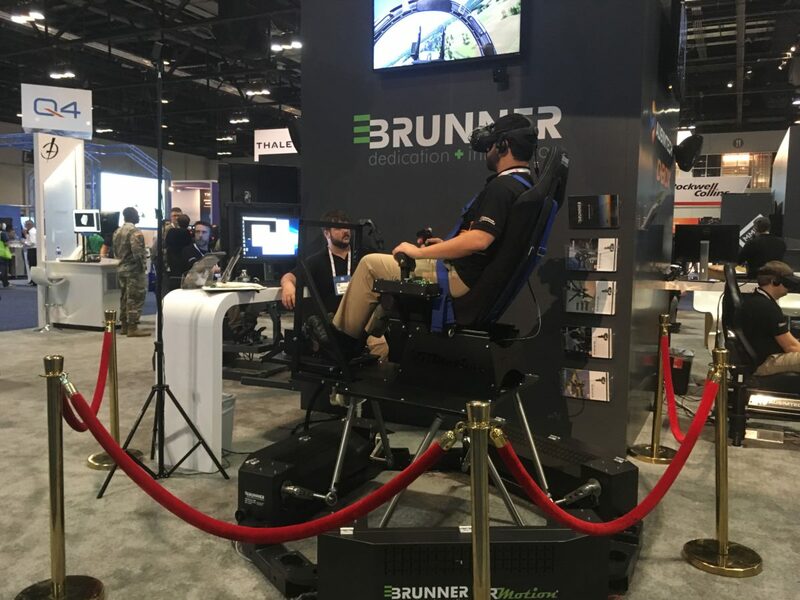 At I/ITSEC 2017, BRUNNER joined forces with Bohemia Interactive Simulations (BISim) and presented its impressive VR-Motion 200 Virtual Reality Flight Simulator with a fully integrated Virtual Environment package of VBS Blue IG and VBS3. The BRUNNER team, Roger Klingler (CEO) and Mario Ackermann (Manager Sales & Marketing), were impressed by the huge amount of serious interest and in-depth conversation which the VR-Motion 200 simulator caused over all exhibition days. The fact that everyone interested could enjoy an impressive test-ride-experience even increased the level of constructive discussion and exchange. All the interest, feedback and questions gathered by BRUNNER during and after I/ITSEC 2017 initiated a new phase of VR-Motion 200 product enhancement and the preparation of additional instruments strengthening a close interaction and exchange with future VR-Motion 200 customers and users. As a technical highlight, BRUNNER VR-Motion 200 will get an innovative set of Instructor Support Tools perfectly tailored to the specific requirements of Virtual Reality based Training Media. Finally, BRUNNER and BiSim will continue and even increase their joint efforts in introducing VR-Motion 200 VBS to the US and international training communities. Interested in getting a deeper inside and some first-hand information? Then don’t hesitate to contact Roger Klingler or Mario Ackermann personally. They will be glad to answer your questions and to indicate your individual roadmap towards you becoming a VR-Motion 200 user.